Never Enough Nails: Happy Thanksgiving!!! Happy Thanksgiving to all of my U.S. readers! I hope you have a wonderful day and spend quality time with friends and family. 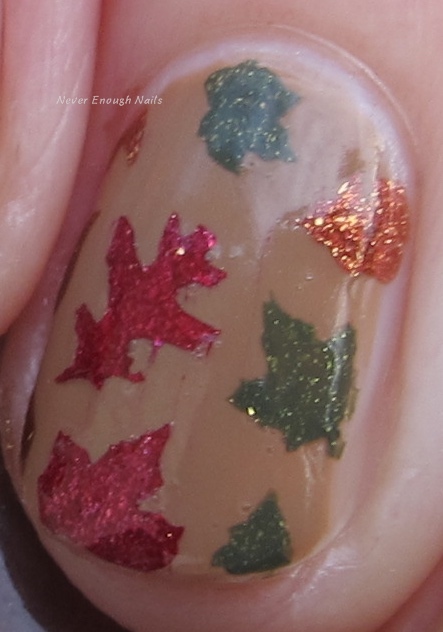 Despite having some super nubs right now, I wanted to show you my Thanksgiving mani. The base is Zoya Flynn and I used Vibrant Vinyls leaf vinyls on two accent nails. 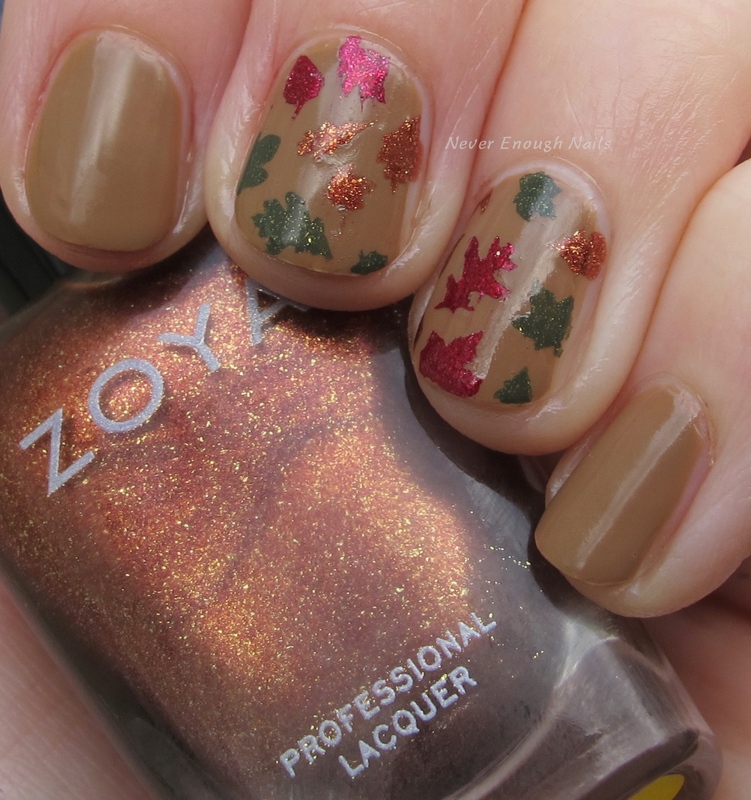 The leaf colors are Zoya Autumn (copper), Zoya Ash (red), and Zoya Yara (green). 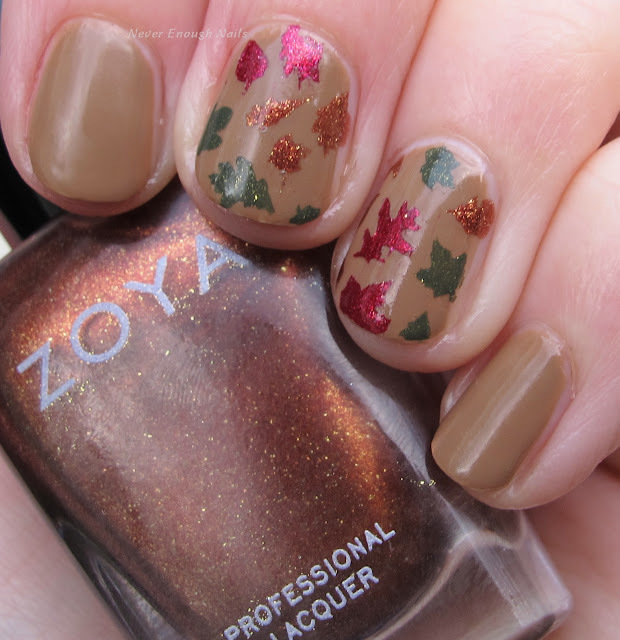 You can order these Zoya polishes for 70% off tomorrow on zoya.com, use code "Yay" to save! !